Particle & Surface Sciences has made available Lighthouse manufactured SOLAIR 3100 and 5100 handheld laser particle counters, which utilise the latest in optical particle counting technology. An easy to read, 14.47cm touch screen interface ensures these devices are easy to configure and operate, with the ability to store particle count data from up to 6 channels and data from up to 4 environmental sensors (4-20 mA). Offering a sensitivity of 0.3 and 0.5 micron respectively, the SOLAIR 3100 and 5100 handheld particle counters deliver a flow rate of 1.0 CFM (28.3 LPM) and a wide dynamic range up to 25.0 microns. All data collected can be quickly and reliably downloaded to a computer or printed to optional thermal printers. 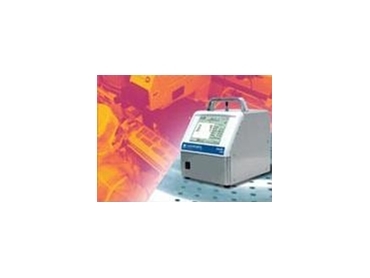 SOLAIR 3100 and 5100 particle counters can be used as a portable instrument or integrated with a larger facility monitoring and management system. These handheld particle counters meet JIS standards and are also supplied with a two year warranty.